Ask all of the mobile app developers to name the SDKs and third-party services they're using and the answer you're likely to hear more than any other is Fabric, or possibly Crashlytics (a component of Fabric). Many apps rely on Fabric for crash reporting, performance metrics, and other services that are hard to build in-house, but prove very useful when supporting an app and making business decisions. Fabric announced earlier today that it had reached an agreement to be acquired by Google, leaving behind its parent company Twitter. Founded in 2011 and later acquired by Twitter in 2013, Crashlytics became a wildly popular service for crash reporting, beta distribution, and analytics for iOS apps (Android and Unity came later) due to its easy installation, polished web interface, and a low price of free. The Fabric platform was launched the following year as a modular SDK intended to give developers a convenient way to pick and choose which services to use. Fabric currently boasts that it's used in apps on over 2.5 billion active mobile devices. 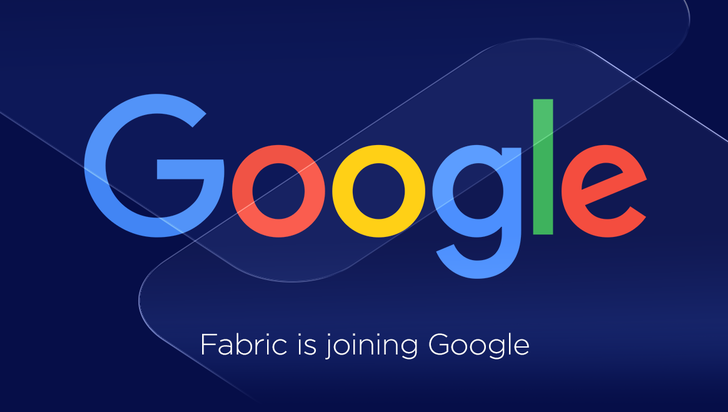 Fabric will be joining the Google Developer Products Group and work directly with the Firebase team, another Google acquisition from just over two years ago. The two teams will combine their platforms to take advantage of the best each has to offer. Most or all of the tools available with Fabric will make the transition, including the Crashlytics reporting system and Answers, a service for interpreting and translating analytics into more easily understandable data. Answer's "Enhanced Features Set" will still be available and continue to use Twitter data through a special agreement. The Digits service, a phone number-based authentication system, will also technically make the transition to Google, but Twitter will still be responsible for maintaining it. According to the Fabric blog post, developers shouldn't have to make any changes to continue using Fabric in their apps at this time. There aren't any details yet regarding the existing web interfaces or continued support for platforms that aren't part of Google's target audience (i.e. Unity and Apple's assorted platforms), but the Firebase blog post mentions continued support for iOS and mobile web apps (which are more recent additions to Fabric), so there's no reason to panic. New terms of service have already been released and will become active once the acquisition is complete.